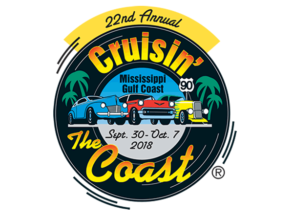 To say that Cruisin’ The Coast 2018 was a HOT one is an understatement, in many ways. While we did experience temperatures a bit warmer than normal, we believe the 22nd edition of our event was pretty cool. In case you missed it, we had a record-setting 8,444 vehicles from 44 states, Canada, Germany and Australia register for the event. It still boggles my mind! The ’68 Camaro was won by a great couple who report they are enjoying “Lucky” very much and putting their own touches on it. We unveiled a ’68 Chevy C-10 CST named “Shadow” as the Make-A-Wish raffle vehicle for 2019. Ticket sales on it are going well. Everyone seemed to enjoy the move to beautiful Beach Park in Pascagoula a whole lot. It’s hard to beat shade from stately oaks, a breeze off the Gulf of Mexico and the wonderful views. The expanded burn-out event in Pass Christian was a big hit, too. Several dozen cars and trucks burned-em-up and everyone enjoyed the show and the free concert. Crowds were larger than ever at the Autocross, Flame Thrower and at the Vicari Auction’s CTC Automotive Swap Meet. The Car Corral also had a banner year and continues to grow. 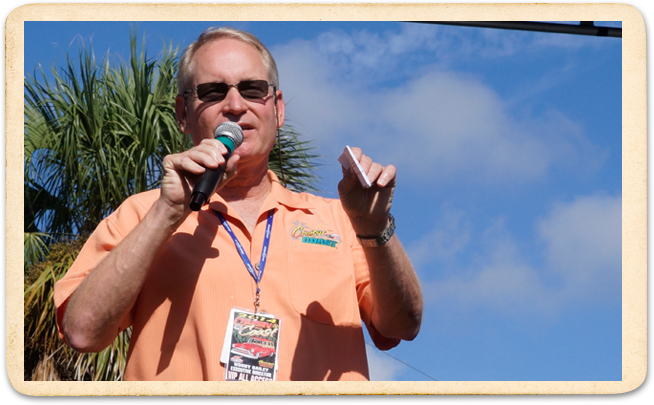 We missed having Dennis Gage with us, but he promises to be back this year. Courtney, Cristy, Joe and Amanda Martin were fan favorites on the celebrity front greeting as many of you as possible. The Street Rodder Road Tour gang made another stop here in 2018 and will be back this year, along with the Vintage Air Road Tour arm of Street Rodder. We know that a lot of you are curious about the location of Cruise Central for 2019. As of this writing, every intention is to return our headquarters to the same location. We love it there, you love it there and the developers of the resort, which is nearing completion, love having us there. We’ll keep you posted in our March and July newsletters and also on Facebook. Until we see you this fall, have a good one and keep them between the lines. We love your Cruisin’ Spirit!